Fries two foods at once or extra large batches. 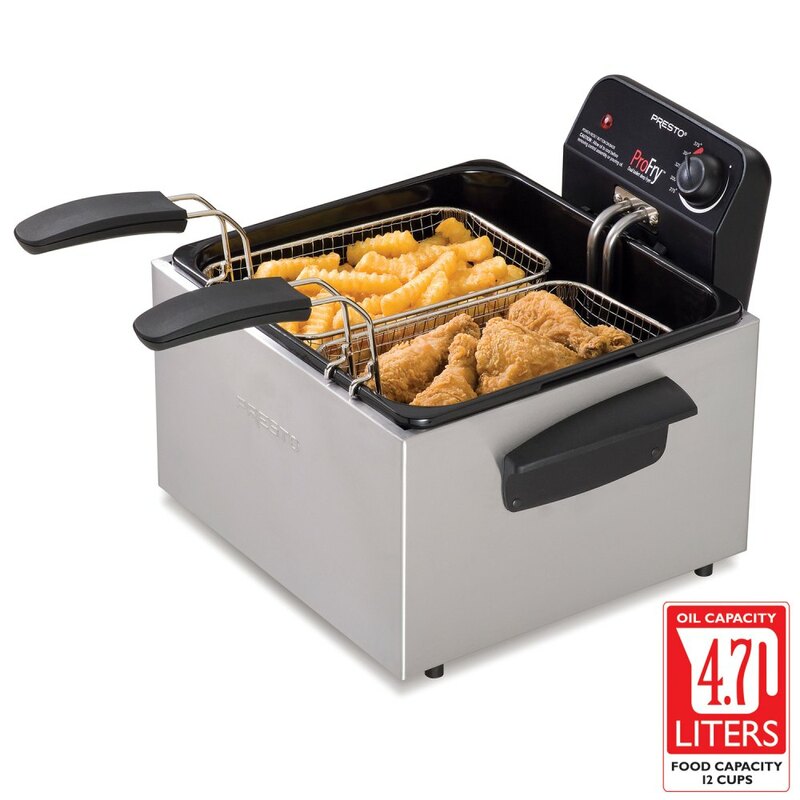 A professional-style deep fryer with dual baskets. Big 12-cup food capacity for frying up family size quantities in a hurry. The oblong-shaped baskets are ideal for frying large pieces of fish or chicken. Steams and boils too. Great for vegetables and seafood. Luxurious stainless steel housing for long-lasting beauty. Adjustable thermostat for easy selection of a variety of frying temperatures. Signal light lets you know when the oil is ready for frying. Cover with filter helps reduce spattering. Cleanup is easy. The heating element and enameled pot are both removable. *Cover must be removed when frying french fries and other high moisture content foods. Heating element and pot remove for easy cleaning.